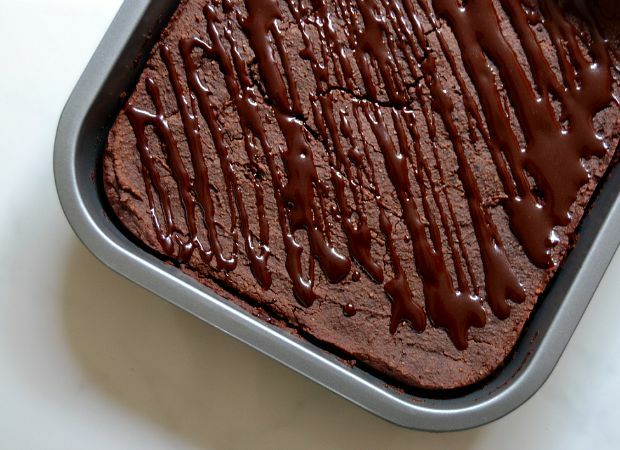 These are the easiest brownies ever! Okay, they’re not going to be the gooey, fudgy, super chocolatey ones you get when they come straight out of the oven, but they’re a really delicious raw alternative. They’re also vegan, gluten-free, dairy-free, and refined sugar-free. AND they only take five minutes to make! You could play with these a bit and add in some extras if you wish. I’ve made a basic batch but things such as cacao nibs or some nuts and seeds could enhance them as well. 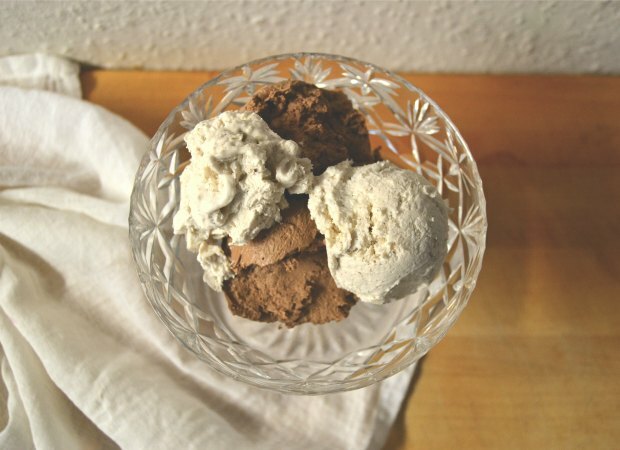 I made mine with a 100% organic cocoa powder as I had run out of raw cacao but you could easily use either or. 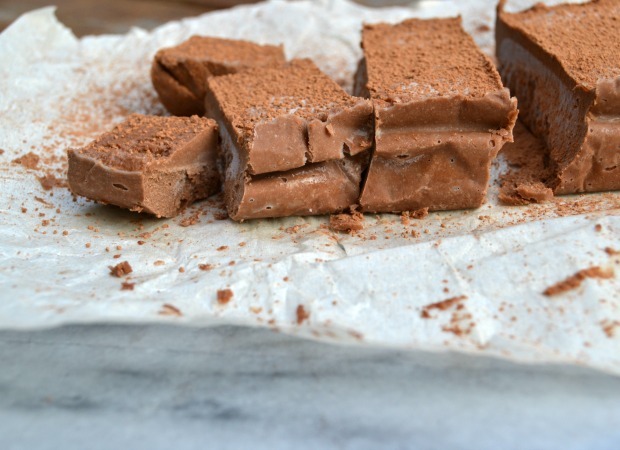 I would start with one tablespoon if using raw cacao and add more to your liking. I like to pop these in the freezer for about an hour and then take them out for a few minutes before serving. This recipe doesn’t make too many but they’re pretty rich and moreish and you could always double the recipe if you’d like a few more. Add all your ingredients to a bowl and mix well until everything comes together and combines evenly. Take ½- 1 tbsp. 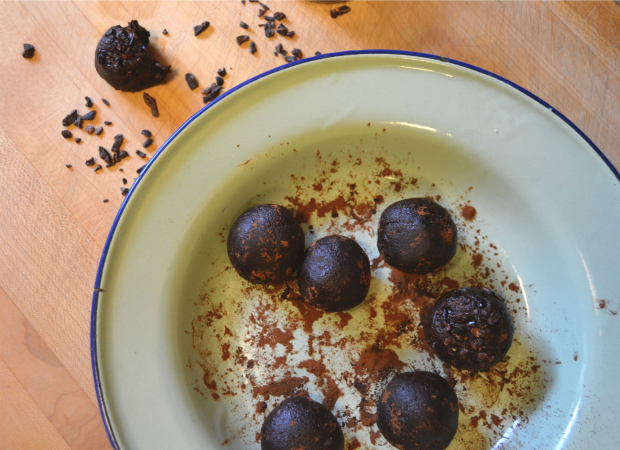 amounts of the mixture and roll into balls coating if you like in cacao nibs, cocoa powder, nuts, seeds, etc. Arrange on a tray and place in the freezer or fridge until ready to serve. This is a revelation if you’re intolerant or have any sensitivity to dairy. I’ve probably always been sensitive to dairy but as ice cream has always been my favourite, I have never wanted to give it up! Until now. I have found an alternative. And it may actually be a hundred times better. This time I had an idea. I added some raw cacao and maple syrup to sweeten and then I popped the dish into the freezer. An hour later I had the most amazing, creamy, indulgent, chocolatey soft serve ice cream you could dream of. Seriously. Use coconut milk for a lush treat in anything but pop it in the freezer and it’s magic. It’s also the quickest thing to make ever. Try it yourself. You will not be disappointed. I challenge people to even question whether they miss ice cream at all! I’ve since made a few other varieties and I’m sharing the chocolate and vanilla versions now. I can’t wait to experiment with some more flavours moving into warmer weather. 1. Leave a can of coconut milk in the fridge overnight. When ready to use, separate the can into two equal parts of coconut milk in two bowls. 2. For the vanilla version: cut and scrape the seeds from the vanilla pod and add to the bowl. Add the vanilla extract and maple syrup, then whisk everything together by hand or with a hand blender until combined. 3. For the chocolate version: add the raw cacao and maple syrup to the other bowl and again whisk everything together. Make sure there are no lumps from the raw cacao. 4. Divide into smaller portions or put the bowls as they are into the freezer for 1 hour. When you’re ready to eat, remove from freezer and let stand for 10 minutes. Enjoy! P.S. You can totally eat this for breakfast: It makes the best addition to things like pancakes or french toast. You can even use the vanilla version as a vegan custard which is amazing with desserts! These are a healthy, nutritious version of a much-loved family favourite recipe I’ve been having ever since I can remember. Peanut Butter Balls are the original favourite and for every time we’ve had a holiday, they’ve always been the first to go. I get requests to make them all the time by my family in the UK and while they have always been delicious, they are made with an unhealthy amount of icing sugar. I wanted to make a healthy version but equally delicious and what a better time of year than now for Valentine’s Day? These are made with homemade nut butter (I chose to make a hazelnut pecan blend) over peanut butter. They actually make these nut butter balls taste a bit more like a healthy Ferrero Rocher! As peanuts are quite prone to mold and contamination, I tend to favour other nuts over them. Of course, if you really love peanut butter, substitute that. Make it yourself with organic peanuts or buy a high quality peanut butter. 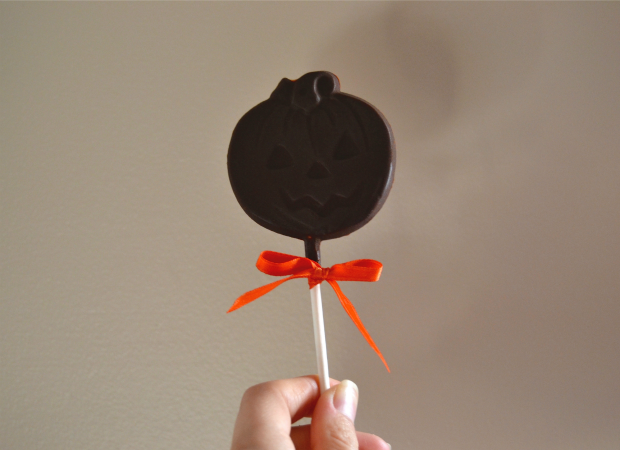 Whichever you choose will taste great with chocolate. Instead of using icing sugar to sweeten and make up the bulk of these I have made my own version using coconut sugar. You can simply add coconut sugar to a food processor and blend well until very fine. I keep a small quantity of this available to use in place of icing sugar if needed. For the most part I’ll use sweeteners such as maple syrup, honey, dates, etc. Feel free to use more maple syrup in these instead of coconut icing sugar if you like. I’d start with two tablespoons as it also acts as a thickener. And if you haven’t made your own chocolate, you don’t know what you’re missing! Raw chocolate is phenomenal and you don’t ever have to feel guilty about it because the real stuff is pretty good for you. The combination of both the nut butter and chocolate is amazing and I guarantee you will love these. 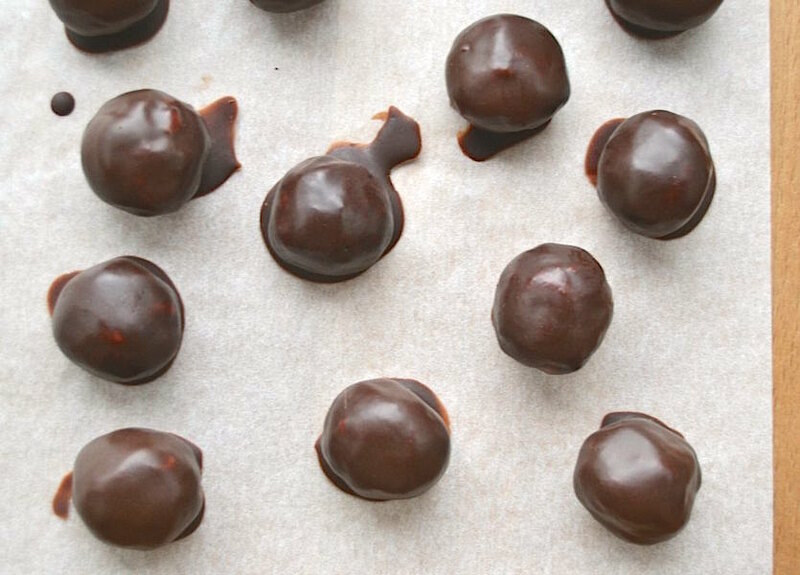 These make approximately 18-20 nut butter balls. So you can make some for your husband/wife, boyfriend/girlfriend, someone special, and keep some behind for yourself! Add the nut butter, coconut icing sugar, coconut flour, and maple syrup to a medium sized bowl and mix until combined. Add in the puffed brown rice. Set aside in the fridge for about 20 minutes to firm up. When you’re ready, take the mixture from the fridge, make ½ tablespoon balls, and set on a lined baking tray. You can then pop these back in the fridge for a couple of hours, or just pop them in the freezer for another 20-30 minutes. While the balls are setting in the fridge/freezer, make the raw chocolate. Add the cocoa butter to a double boiler on a low simmer to melt. Add in the maple syrup, vanilla, and sea salt. When all is combined and melted, take it off the heat and whisk in the raw cacao. Allow this to stand to the side for 10-15 minutes so it’s not too hot when you dip the nut butter balls. When you’re ready to dip the balls, remove from the fridge/freezer and dip them into the chocolate with a dessertspoon until completely covered, then let them set on a lined baking tray. 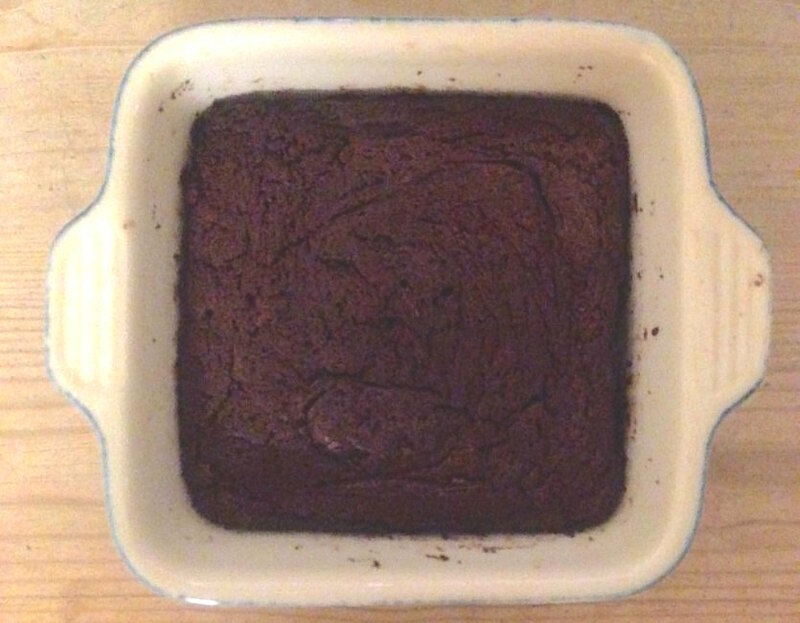 This flourless chocolate cake requires very little effort and is a perfect treat for two to share (or just for one if you’ve got a serious sweet craving going on!) It’s gluten free, dairy free, and refined sugar free. If you aren’t using chocolate in its natural state (raw cacao) it’s best to try and use a dark chocolate with a high percentage of cocoa solids as that’s where you’ll find the healthy antioxidants that chocolate contains. This is best served warm, a few minutes after coming out of the oven. Alternatively, if you have any leftovers you can pop it in the fridge and enjoy it as a fudgier treat the next day! 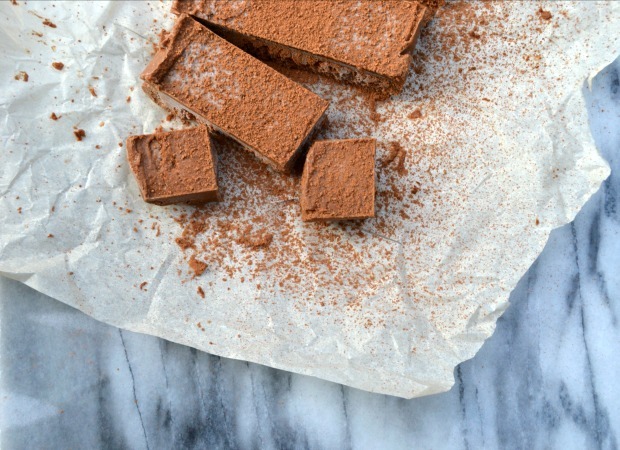 Break the chocolate into pieces and add with coconut oil in a double boiler over a simmering saucepan of water until melted. Set aside to cool. Preheat oven to 325 °F. Combine the rest of the ingredients into a food processor until combined. Add the melted chocolate and coconut oil. Grease a baking dish (with coconut oil) and pour the mixture in. Bake for 15 minutes and enjoy!